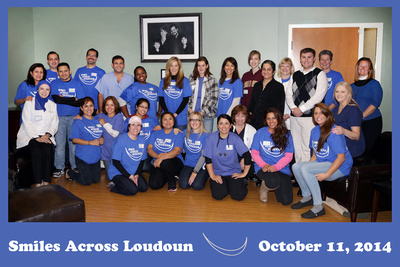 On Saturday, October 11th, Rios Dentistry participated in their 3rd annual Smiles Across Loudoun event. This was a free day of dentistry for those who need dental care in or surrounding our community. Dr. Rick Rios and a group of elite dentists provided free cleanings, fillings and extractions. To view photos from the event, click on the image below!